Over a 3 week period, in July 2015, the Shanghai composite index had fallen by 30%. Around 1,500 listed companies suspended trading in an attempt to prevent further losses. The Chinese government launched significant intervention policies in the stock market such as the prevention of initial public offers, strongly encouraging state-owned broker and state-controlled funds to buy stocks as well as the promise of unlimited support from the central bank. Finally, by 9th-10th July 2015, the market stabilized at 28%, which was below its peak in mid-June. However, it was still up 82% from the bull-run market which started in 2014. This begs the questions: what drives the bull stock market in China? 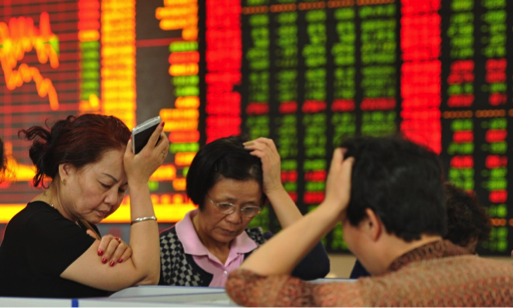 Why is China’s stock market crashing? 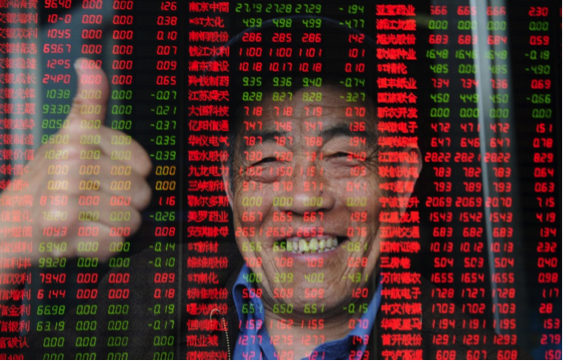 China’s stock market began to rise in the middle of 2014. The bull market was driven by improving the fundamentals via a significant capital market and social and economic reform. The reforms included the launch of the preference shares pilot program that help the state – owned banks reduce their liability and optimize capital structure. The change from the industry structure to the private sector has taken a greater share of economic activities. The government has promised to cut its emissions and accelerate the construction of a socialist rule of law system. 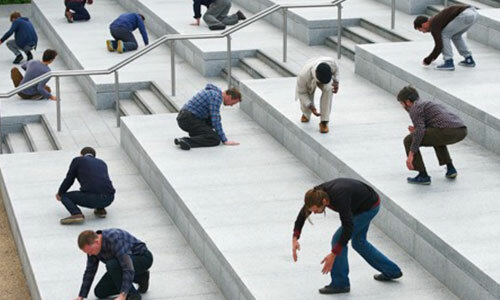 Finally, the investors and foreign capital embraced new reform policies as their capital market began to rise. Moving to the beginning of 2015, the Shanghai stock market turned into a boom, the high risk preference investors borrowed money to accelerate their share purchase and profitability gain. The surge of such speculation pushed up the prices of shares rapidly. Indeed, China’s security regulators were aware of the leverage risk when Shanghai Composite index arrived at around 3000; there was a large official state warning in the domestic media. 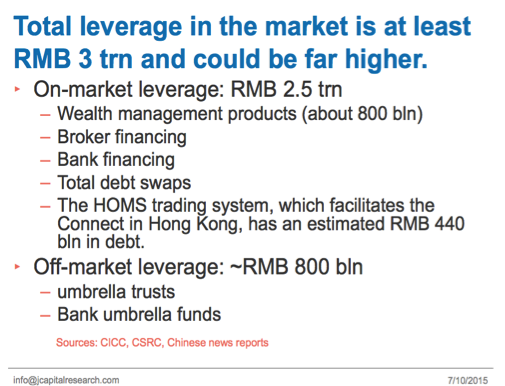 A report from JCap stated that the “total leverage in market is at least RMB 3 trillion yuan and could be far higher” (see slide below). Ultimately, throughout the middle of 2015 the surge exhausted itself, the liquidity dried up and resulted in the stock market crash. Fortunately, the market stabilized by the end of the second week in July and the outstanding margin loans dropped to 1.91 trillion yuan as of Friday July 3 (reported by the Wall Street Journal). The levels of profitability for long-term investors are still high. It is believed that the economic outlook and new China growth reform program, in the long term, will still offer a great promise for investors. Retirement Villages: Could they really mean the End of Care Homes?